LONDON: A member of Prime Minister Theresa May’s Conservative Party, who beat leading Brexit figure Nigel Farage in the 2015 parliamentary election, was charged with breaking that campaign’s expenses rules on Friday, a week before a fresh national vote. The allegations come as an embarrassment for May ahead of next week’s election in which polls show the Conservative lead has shrunk significantly since she called the snap vote. 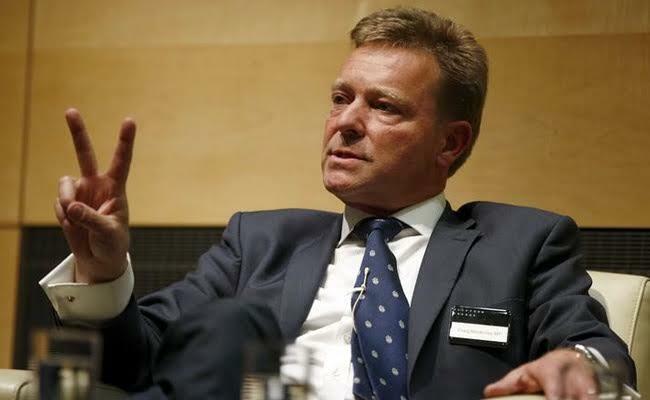 Craig Mackinlay, 50, who is standing for re-election in South Thanet in southeastern England, was charged with making false claims about his spending during the 2015 campaign, Britain’s Crown Prosecution Service (CPS) said. His election agent Nathan Gray, 28, and aide Marion Little, 62 were also charged. “We have concluded there is sufficient evidence and it is in the public interest to authorise charges against three people,” said Nick Vamos, the CPS Head of Special Crime. In a statement, the Conservative Party said the allegations were “unfounded”. “There is a broad consensus that election law is fragmented, confused and unclear, with two different sets of legislation, and poor guidance from the Electoral Commission,” it added. Farage, the former head of Britain’s UK Independence Party (UKIP), came second in South Thanet in 2015, polling 16,026 votes with Mackinlay taking 18,838 votes. Supporters of Farage, who played a key role in securing Britain’s vote to leave the European Union last year, have long claimed of electoral wrongdoing during the campaign. Last month prosecutors ruled out bringing more widespread criminal charges over allegations of expenses fraud by the Conservatives during the 2015 campaign. The CPS had considered information from 14 police forces across the country about whether the party had broken spending limits, which are governed by tight, complex rules, but decided there was insufficient evidence to charge any individual. The Electoral Commission, the independent election watchdog, in March fined the Conservatives a record 70,000 pounds ($91,000) for breaking rules by incorrectly reporting its spending.